Yes, I am back from Ireland. The trip was great. Since Andy had to work the first couple days, I spent that time by myself, mostly walking the streets of Nenagh, a small town in County Tipperary. This was my first trip out of the US since my summer in Spain, and I think that once again, the alone time in Europe did my soul good. I feel refreshed, ready to be a better me. It’s like New Year’s in my head: lots of resolutions and plans and optimistic ideas. Anyway, here’s a little bit of my trip. Maybe I can impart some of my new Zen mentality on you via the internet. And if not, I can at least show you some of Ireland. 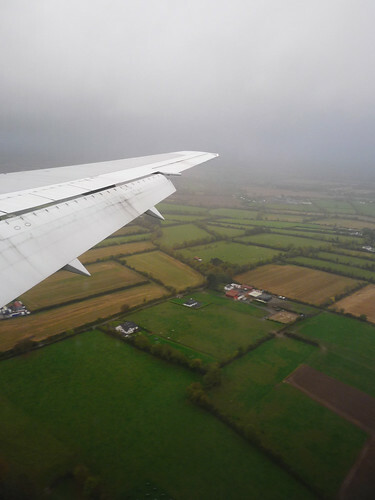 The Emerald Isle is as green and rainy and beautiful as promised. What was nice was that you never really needed an umbrella. It was more of an on-again, off-again drizzle (or mist). Made for some nice rainbows. Note: That’s Martin, our driver. He’s legendary within Andy’s work group, probably because he tells such great stories. People get sad when Martin has to send another driver to get them instead of him. 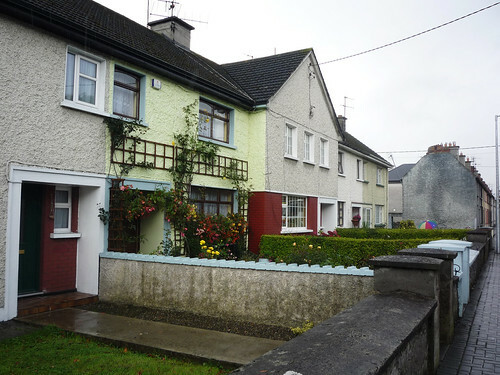 Nenagh was very cute and quaint and, presumably, Irish. 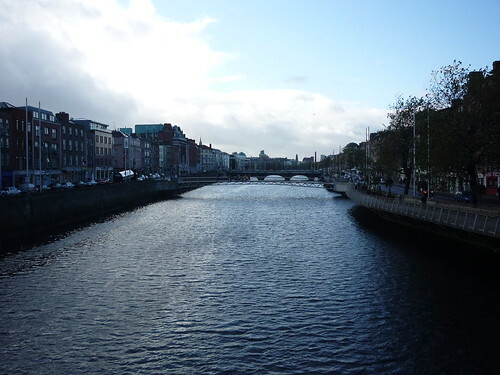 Dublin was everything I love about European cities: a mix of old and new architecture, very walkable, with a river running through it. Due to our limited time, we only did touristy things. But I’ve never understood what was so wrong with that anyway. Aren’t they touristy for a reason? We visited several museums (including the Dublin Writers Museum — yes, I am that nerdy) and shopped on Grafton Street. We saw the Book of Kells at Trinity College. We even went to the infamous Temple Bar area, although we got gelato instead of Guinness. 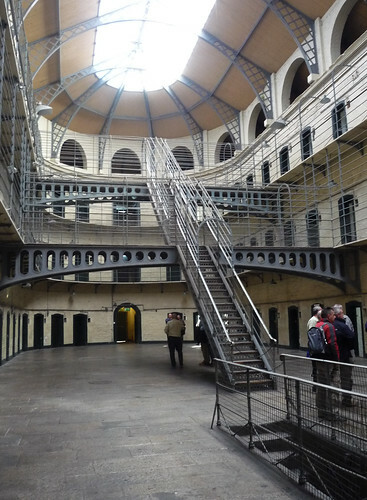 I think my favorite thing was our visit to Kilmainham Gaol, the old jail. The tour gave a great overview of modern Irish history (like 18th-20th centuries). Also, I’ve always had a morbid curiosity about jails and life in prison, but I’m too much of a goody goody to do anything that would get me incarcerated. Doesn’t look SO bad, right? Well, each cell was meant to hold 1 person. Usually it held 8 or 9. Yeah, life in Kilmainham was not fun. But during the Great Famine, people would TRY to get arrested, because at least then they were guaranteed 1 meal a day! Of course, what is a trip to Europe without beautiful churches? 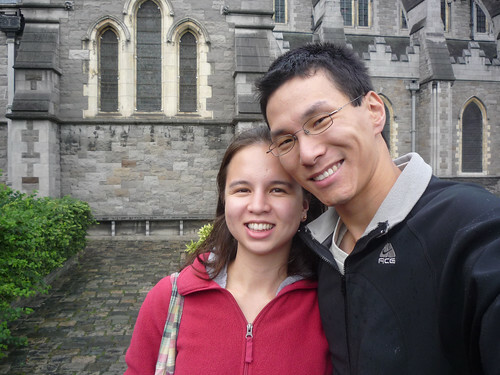 We visited Christ Church (seen below with two weirdoes in front) and St. Patrick’s Church (seen even more below) where writer Jonathan Swift is entombed. 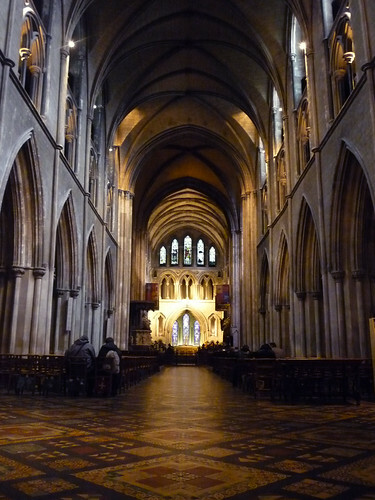 As much as I might not love organized religion, I do think old religious art and architecture is absolutely stunning. My second favorite attraction was the Dublin Zoo. Probably because they give their tigers Red Bull — at least, that’s my guess. They were SO active and playful. Look, this tiger cub is coming over to say hello! I wanted to snuggle it, but Andy said it might eat me. Last but not least, this pic is for Angie. Apparently Dublin is known for its doors. 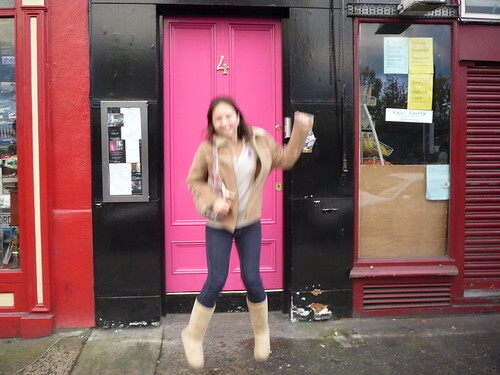 And if you ignore the blurriness, that pretty much sums up how I felt about my Irish vacation. Awesome pictures. I am so jealous, as I’ve never been to even the corner of Europe! If you’d been going to Scotland, I’d have had you hit up my friend Princesse Ecossaise. She lives in France, now, but Glasgow is her original ‘hood. You’d probably like her blog, if you haven’t heard of it already. .-= • Recent post by Todd Newton: nonfiction =-. Sounds like a great trip – I’m jealous. Thanks for sharing the pictures, too! i am with the rest of them… jealous! i’ll check out the rest of your pics on flickr, i’m sure they don’t even do the place justice. looks amazing! .-= • Recent post by GingerMandy: I smell skunt. =-. .-= • Recent post by Pseudo: Shangri La and Jumping off Walls =-. Oh hello. My name is Margot and I’m a jealous beyatch. You photos look amazing. I am so jealous. Glad you had such a great time. Really enjoyed reading this post. Very cool and I am also very jealous. It’s on for Nanowrimo woman! 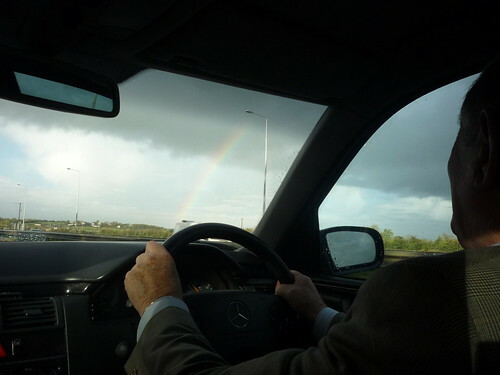 .-= • Recent post by Les: Whirlwind weekend =-. .-= • Recent post by sam: BUGS! =-. i <3 your pictures (all of them!) 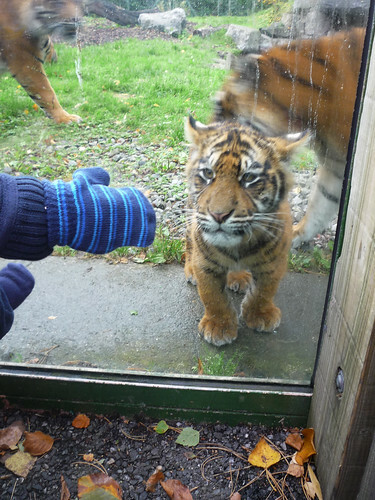 :) I especially like the tiger cub…I think I would've wanted to pet it and stuff too, lol. I'm so glad to hear that you had a good time! .-= • Recent post by Angie: I tell you, don’t get addicted to the Crackberry =-. The pictures are great, and so pretty. I want to go to Europe so bad. My aunt just moved to Norway… how exciting is that? Maybe it will give me an excuse to go. I know, I should, but I would have to go during the summer. Although, I’m sure it is absolutely beautiful in the winter, it’s way too cold for me. .-= • Recent post by Kimberly Franklin: Weekend Review =-. LOL oh believe me, I know! I grew up in TX. Moved to Pittsburgh, PA for college, and then Cincinnati, OH after that. Cincy’s good weather, actually — all 4 seasons, none too extreme, very beautiful — but Pittsburgh could get brutally cold.